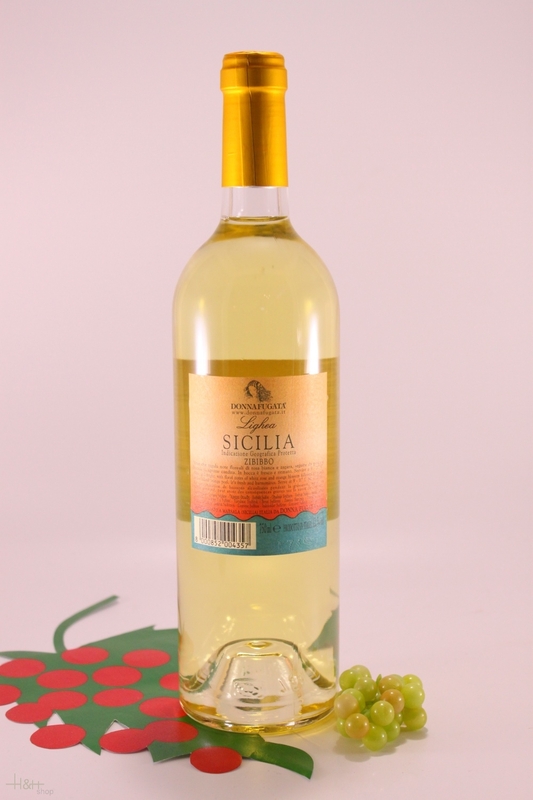 Description: The dry version of Zibibbo, this aromatic white has a true Mediterranean soul. Bright straw yellow with greenish hues, its brightness becomes grape, pear, melon to the nose; the flower merges with fruit, almond and rosemary. Beautifully caressing, it enchants with the typical features of Zibibbo, pulpy and persistent. Two dishes: Sarde a beccafico (sardines stuffed and roasted or fried). Pesce gatto con ravioli e asparagi alla maggiorana (catfish with ravioli and asparagus flavored with marjoram). 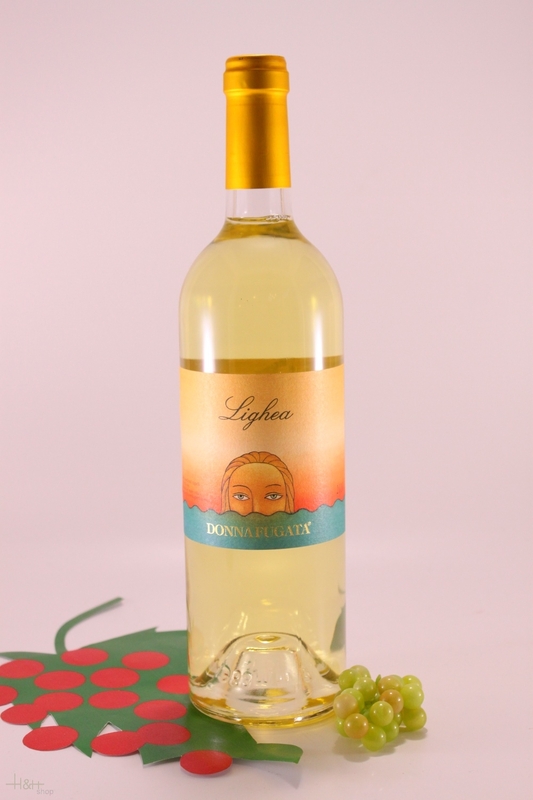 "Luca Gardini" has rated the wine "Donnafugata 'Lighea' Zibibbo Sicilia IGT, Sicily, Italy" the vintage 2016 on 01.04.2017 with 86 of 100 points. "Falstaff Magazin" has rated the wine "Donnafugata 'Lighea' Zibibbo Sicilia IGT, Sicily, Italy" the vintage 2015 on 09.09.2016 with 90 of 100 points. "5StarWines - Vinitaly" has rated the wine "Donnafugata 'Lighea' Zibibbo Sicilia IGT, Sicily, Italy" the vintage 2015 on 28.04.2016 with 91 of 100 points. "Wine Enthusiast" has rated the wine "Donnafugata 'Lighea' Zibibbo Sicilia IGT, Sicily, Italy" the vintage 2015 on 08.01.2016 with 88 of 100 points. "Vinous Antonio Galloni" has rated the wine "Donnafugata 'Lighea' Zibibbo Sicilia IGT, Sicily, Italy" the vintage 2014 on 01.12.2015 with 90 of 100 points. "Wine Enthusiast" has rated the wine "Donnafugata 'Lighea' Zibibbo Sicilia IGT, Sicily, Italy" the vintage 2013 on 09.01.2014 with 87 of 100 points. "Wine Enthusiast" has rated the wine "Donnafugata 'Lighea' Zibibbo Sicilia IGT, Sicily, Italy" the vintage 2011 on 03.01.2013 with 87 of 100 points. "Wine Enthusiast" has rated the wine "Donnafugata 'Lighea' Zibibbo Sicilia IGT, Sicily, Italy" the vintage 2009 on 04.01.2012 with 87 of 100 points. "Wine Enthusiast" has rated the wine "Donnafugata 'Lighea' Zibibbo Sicilia IGT, Sicily, Italy" the vintage 2006 on 11.01.2008 with 86 of 100 points. "Stephen Tanzer" has rated the wine "Donnafugata 'Lighea' Zibibbo Sicilia IGT, Sicily, Italy" the vintage 2009 with 89 of 100 points. "CellarTracker" has rated the wine "Donnafugata 'Lighea' Zibibbo Sicilia IGT, Sicily, Italy" the vintage 2013 with 88 of 100 points. "CellarTracker" has rated the wine "Donnafugata 'Lighea' Zibibbo Sicilia IGT, Sicily, Italy" the vintage 2011 with 88 of 100 points. "Stephen Tanzer" has rated the wine "Donnafugata 'Lighea' Zibibbo Sicilia IGT, Sicily, Italy" the vintage 2012 with 88 of 100 points.